Police Officer April Masters has one final job to do. And if she can pull it off, she’ll have the funds to send her son abroad for the treatment he so desperately needs to help him walk. Working undercover on a plan developed by the Force and the insurance company, all she has to do is link wealthy gallery owner Dylan Rider to the theft of a stolen painting; her remit, posing as an ex-con, is to work as a cleaner at the gallery. 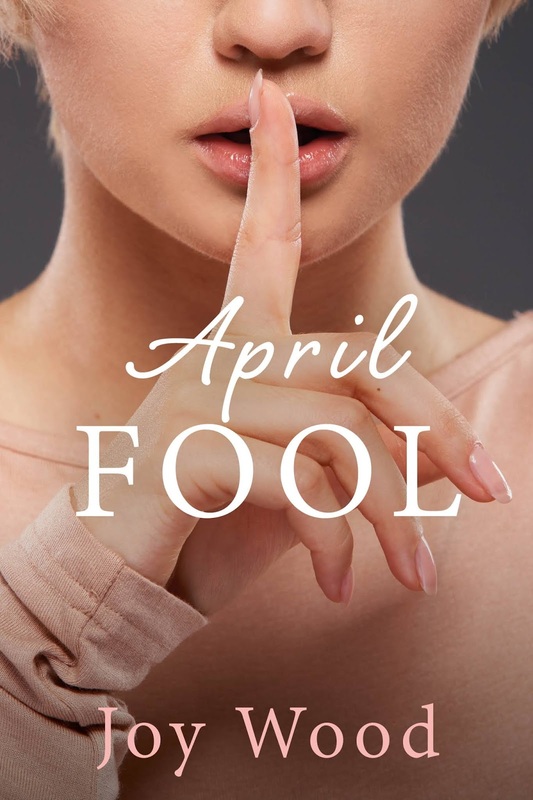 However, totally unprepared for Dylan Rider’s charm and charisma, April puts her integrity on hold and embarks upon an affair – only to bring him down in the end, she tells herself. But someone is watching her. Someone who knows who she really is . . . someone that could blow her cover. The plan has to change. She needs to become more resourceful. Her son’s future depends on it. As a working nurse, Joy Wood has been creating stories in her head for years, but never found the time to do anything with them – life just got in the way somehow. Five years ago, she was made redundant and moved to the picturesque seaside town of Cleethorpes in Lincolnshire. She loves nothing better than walking along the sea front and thinking up ideas for stories. Her debut novel ‘For the Love of Emily’ was written by Joy “just to see if she could really,” – she had no idea it would sell like it did and continues to do so. Joy is quick to point out it is most definitely one for adults only! At various book signings, readers recognised Joy from articles in local papers and suggested they’d like a hospital romance, so she concentrated on ‘Knight & Dey’ a hospital romance with a difference. Someone dies on the first page, but Joy hasn’t given away the gender of the victim, nor the gender of the assailant. The idea is for the reader to engage with each character in the book, trying to decide which one dies, and who did it. Next came ‘Chanjori House’ – a love story set in Scotland. Eve was in love with Rick but he went away. Eleven years later he’s back, but she’s married to his father. Sparks fly . . . revenge is a dish best served cold. ‘April Fool’ is Joy’s 4th novel and she is hoping readers will love it. 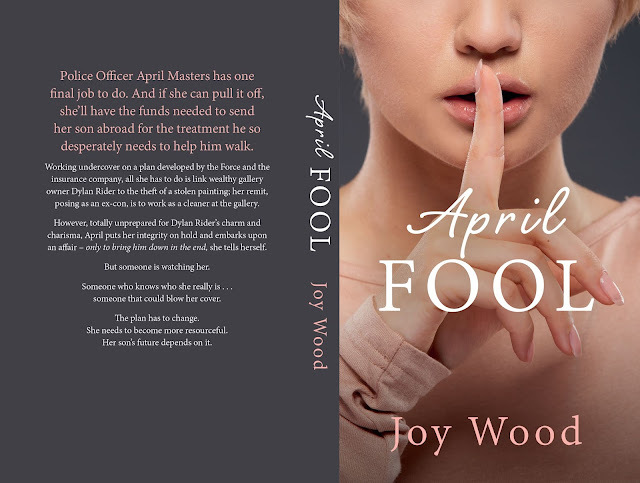 April Master is an undercover police officer trying to raise enough money to send her son for surgery in the USA. Her remit is to expose the dynamic and charismatic gallery owner who is behind the heists of expensive oil paintings. She embarks on an affair with him – just to bring him to justice she tells herself. But is he too clever for her . . . or is she too clever for him?